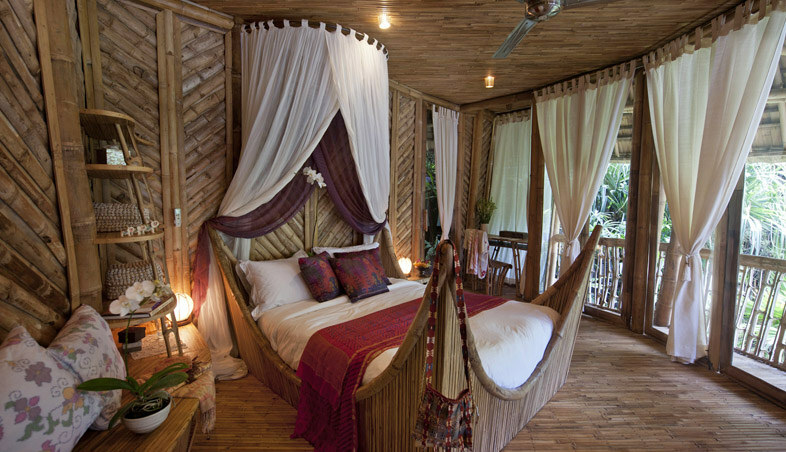 Tired of staying at your typical cookie-cutter hotel? 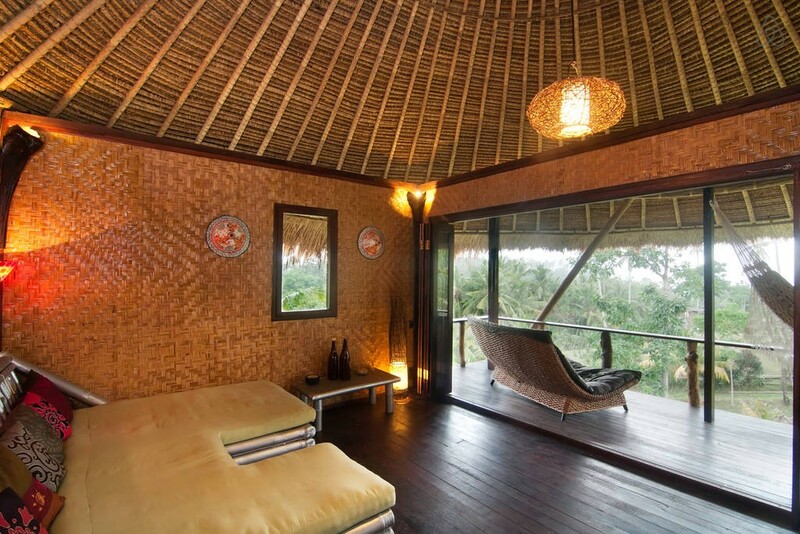 Want something different from a commercialized villa? 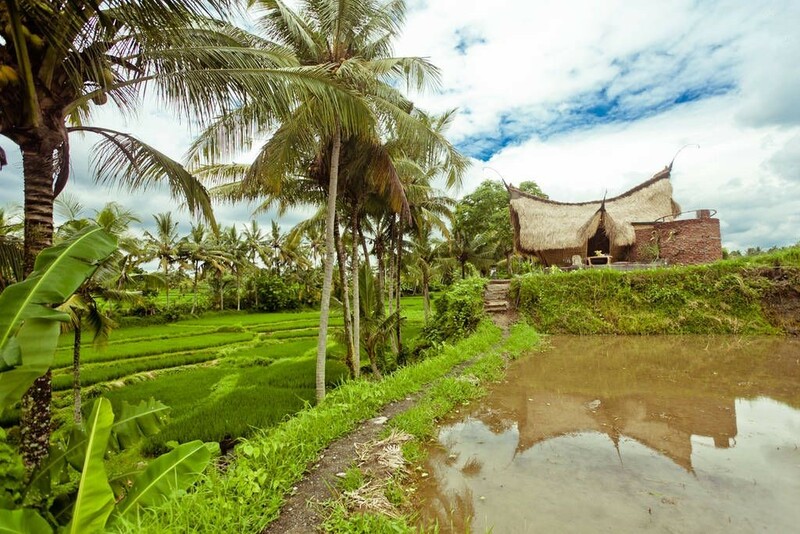 Bali is a hidden trove of accommodations that one might not find out on the usual travel sites. 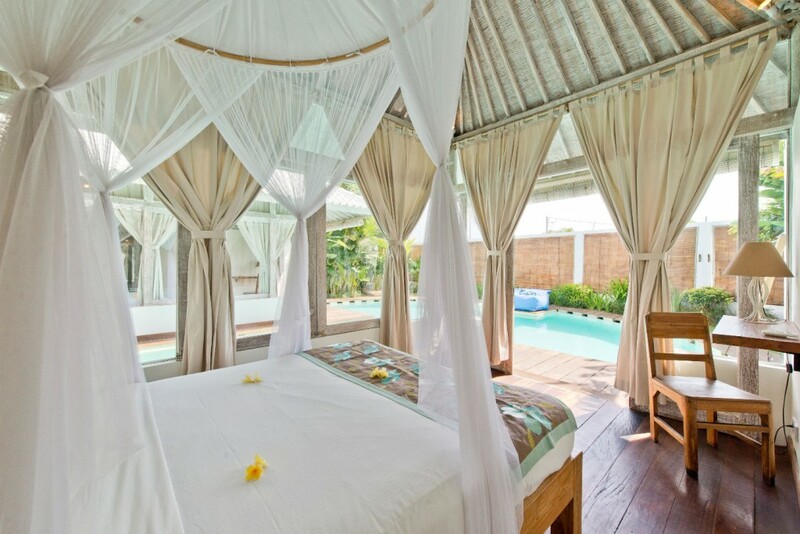 Have you thought of “renting” a private villa, be it just a room, or an entire Balinese home for your vacation? You get a unique experience, privacy, and a human touch. 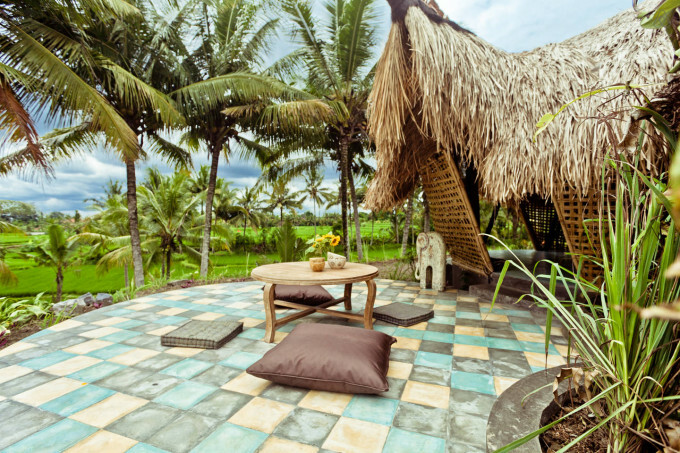 We scoured and found the best villas in Bali you can get on Airbnb for your special homestay! Do you love water? 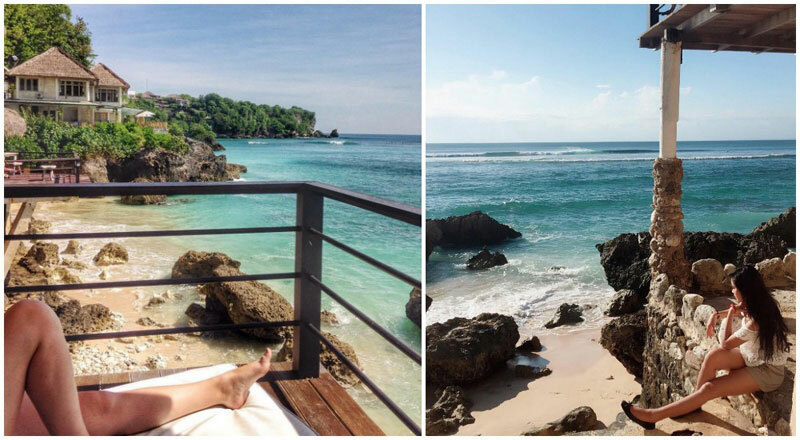 Is soaking in cool calm water your favourite pastime, and you wish you were born a mermaid? 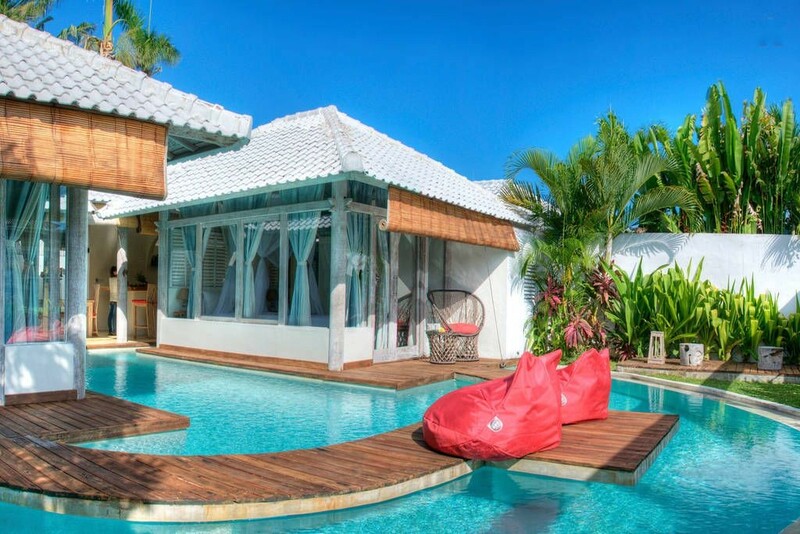 If so, you’ll love this exotic water villa, one of the rare villas you’ll find in Bali that’s completely surrounded by water. 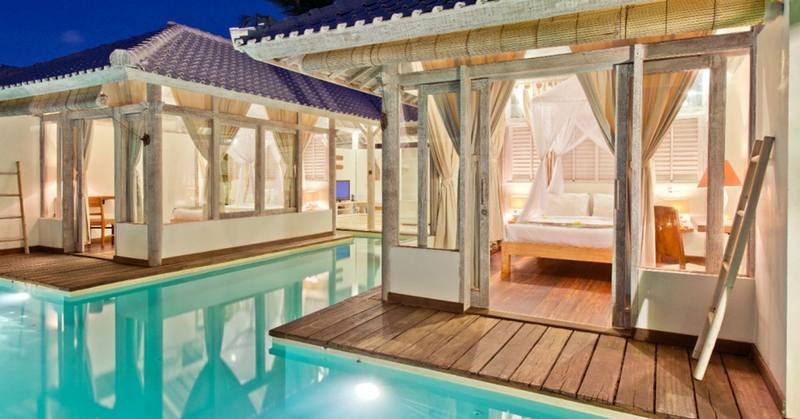 In fact, the first thing that greets you upon entering the villa is the pool! You also get two huge comfy beanbags for nights when you just want to soak your feet in the water and admire the starry night sky. 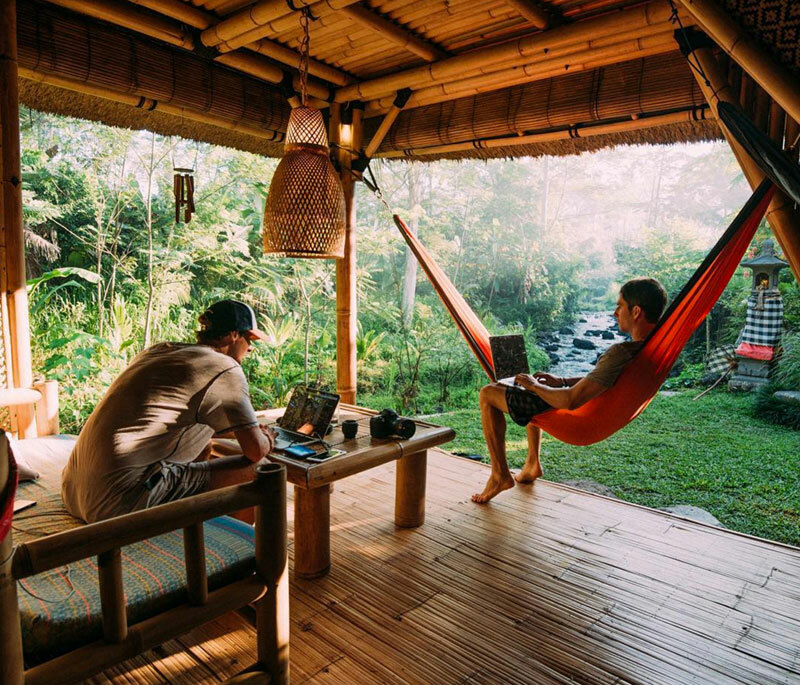 Not an Airbnb member yet? Have you always had a secret wish to escape to the middle of nowhere? 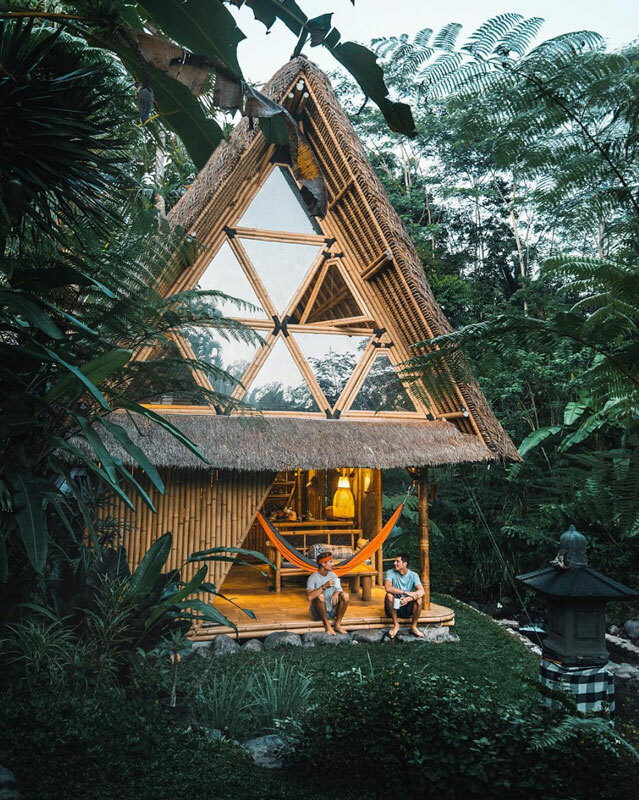 This secluded little treehouse lodge in Balian village located along the coastline offers you the best privacy you can imagine. You have no direct neighbours, apart from the garden and the ocean. 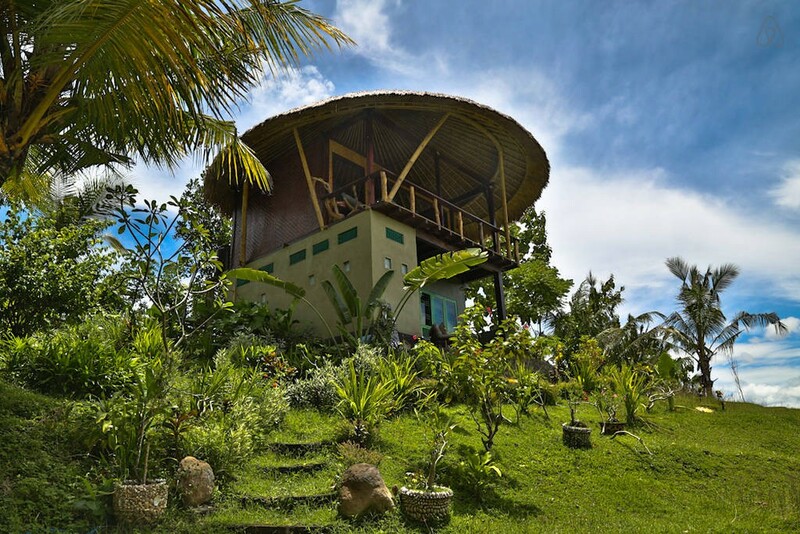 Built as a private holiday home by a Holland-based photographer, the “mushroom villa” (as the locals call it) gives you a very homely experience, different from a typical villa or resort stay. 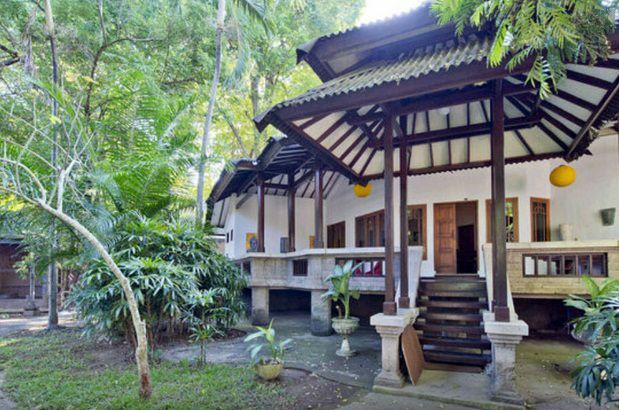 From the veranda overlooking the huge garden and palmtrees, you can watch the sunrise in the morning, and enjoy the view of the ocean. 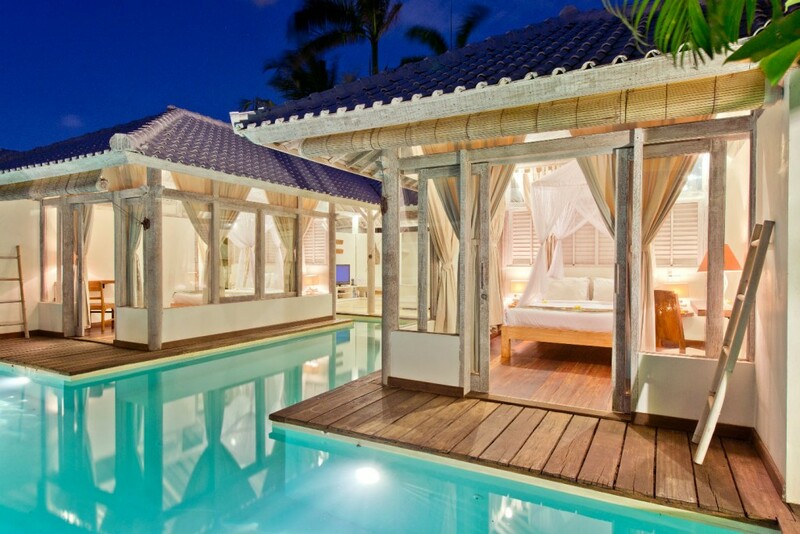 You even have a private pool in the garden! 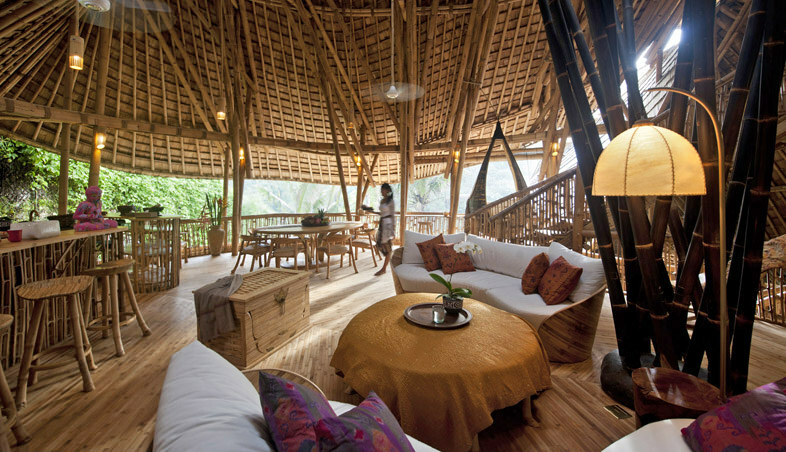 The decor of the house is mostly natural – such as driftwood picked up from the beach. Everywhere you need to get to within the village is within walking distance, but you can also rent a bike to sightsee outside the village. Nice and affordable local food is also available at the night market nearby. The beach is also readily accessible via a small dirt road from the house. You can even pick your own coconuts here! 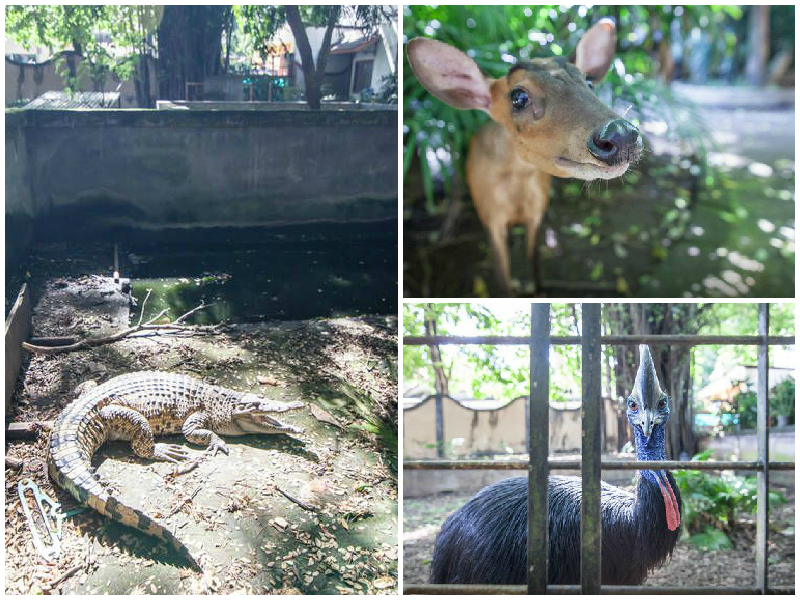 If you’re quite the animal lover and would truly enjoy the experience of wildlife and mother nature, why not check out this villa zoo? 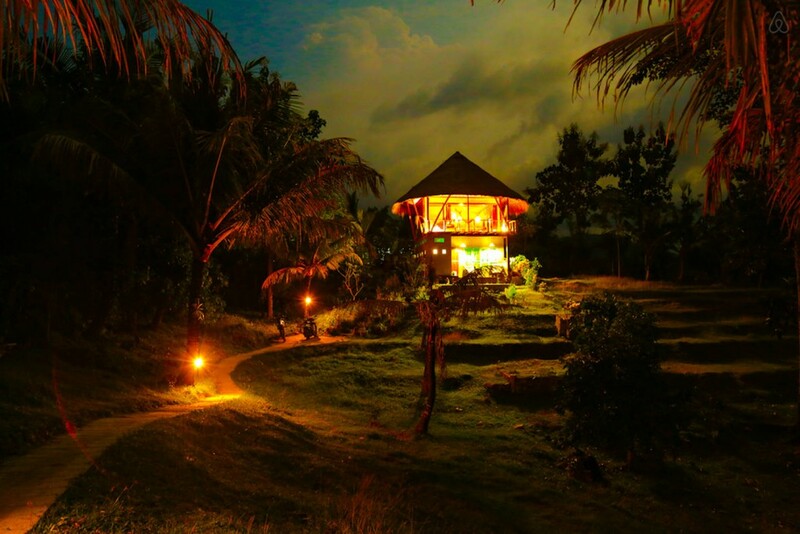 The name says it all – it’s a mini zoo and also a place for you to rest for the night. With deer and emu roaming around, don’t be surprised to find one staring right at you from your window the moment you wake! There’s even an alligator (don’t worry, it’s safe in a pit) for you to gawk at. 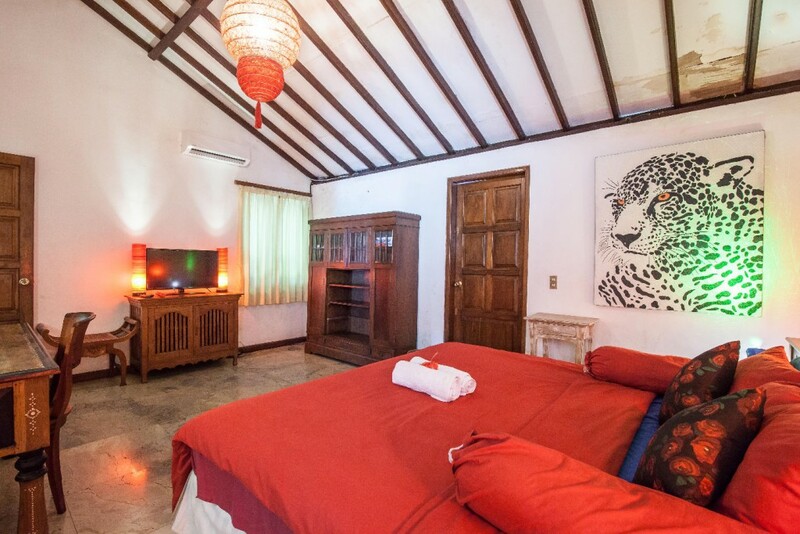 Each villa is also beautifully decorated to fit this theme, with animals paintings dotting the various rooms! 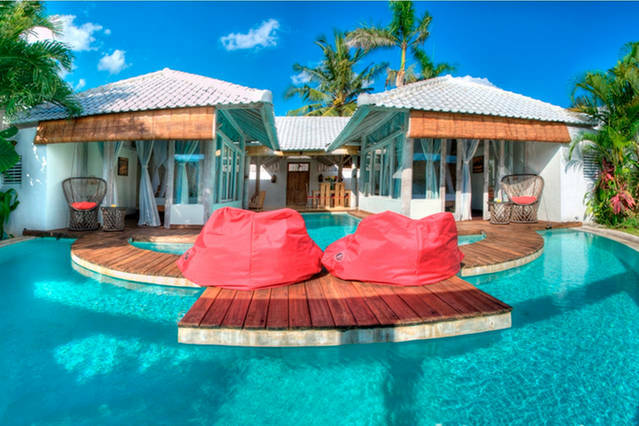 Villa Impossible is one that really lives up to its name. 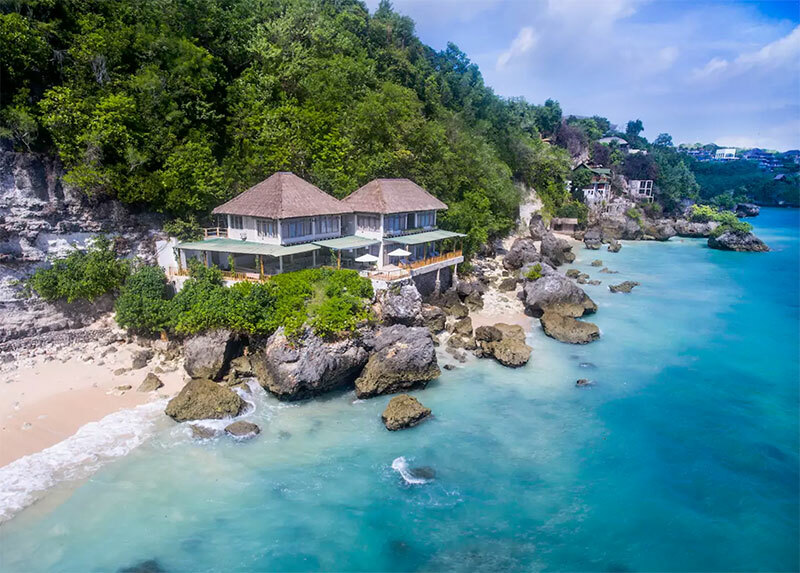 Standing precariously on stilts alongside one of Uluwatu’s famous high cliffs, this six bedroom villa is a dream come true for beach lovers. 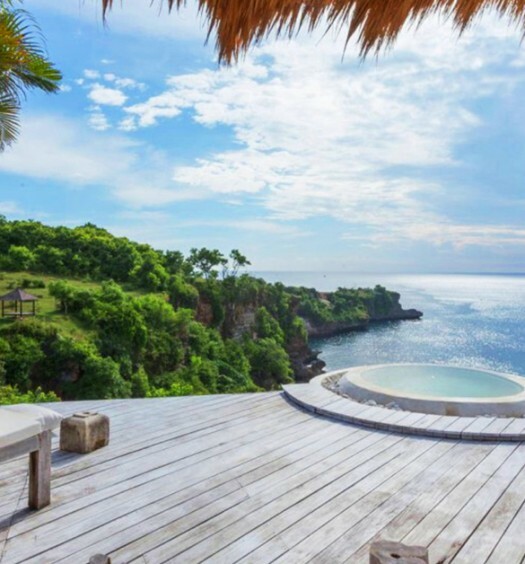 You can sit on the balcony and enjoy 180-degree views of the beautiful Uluwatu ocean, while listening to the waves lapping at your feet. Access to the beach is easy. 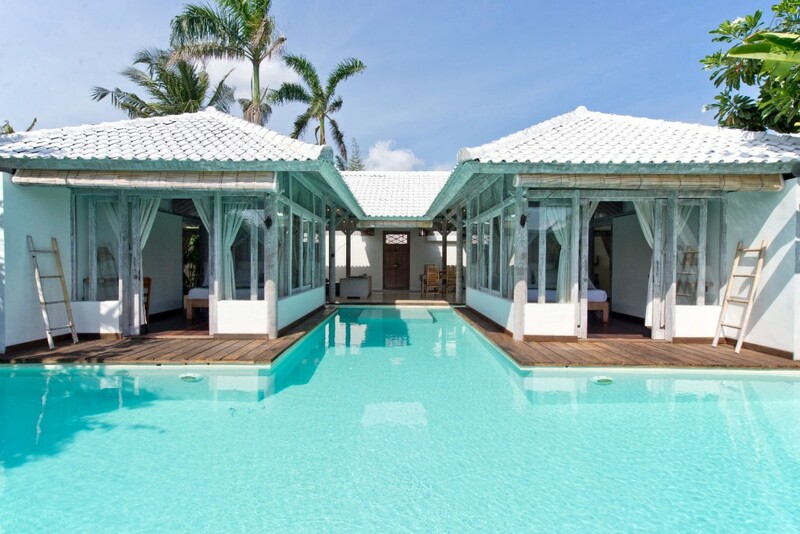 Every part of Villa Impossible has been designed to make the most of the gorgeous beach surrounds, with enormous sliding doors in bedrooms and open living spaces – to remind you the the sand and sea is within arm’s length! 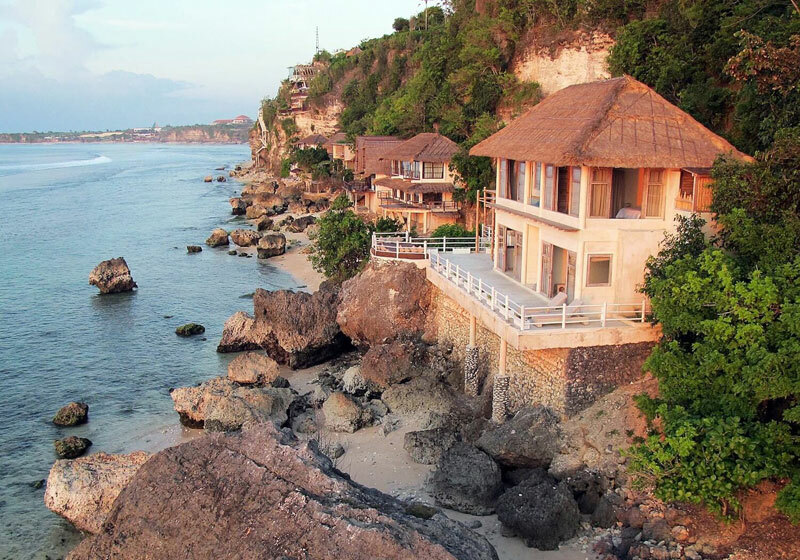 You have the perfect hideaway – it’s time to switch off from the daily humdrums of the modern world. 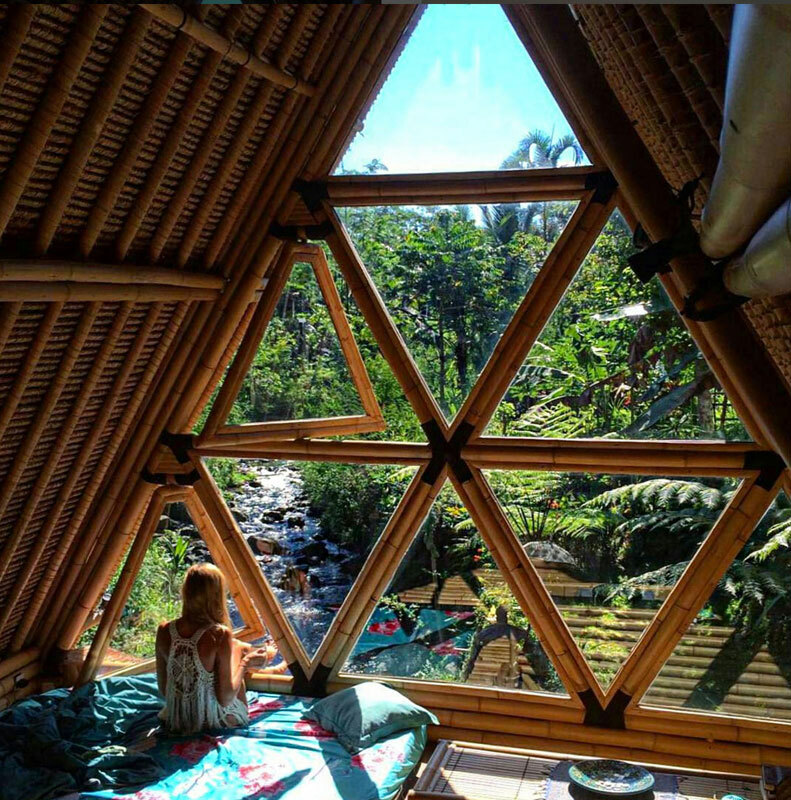 What could be more eco-friendly than staying in a house made of bamboo? It’s not just about the beautiful view and cool mountain breeze. 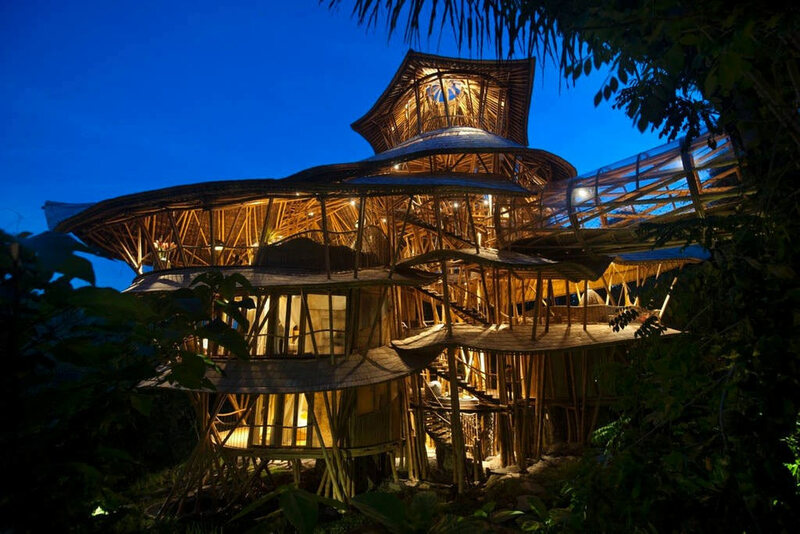 You are staying at one of the most amazing examples of sustainable design. If you ever want to try cosplaying Robinson Crusoe, the Hideout is the place to do it. 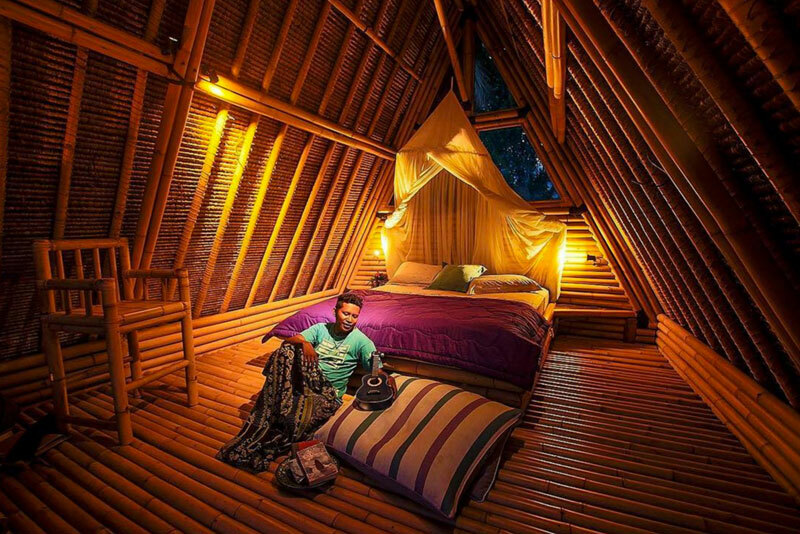 This secluded wooden hut, found on the Gunung Agung highlands, is set to give you all the privacy you need – and more. Its largely hidden location is not the only reason why it’s so unique though. 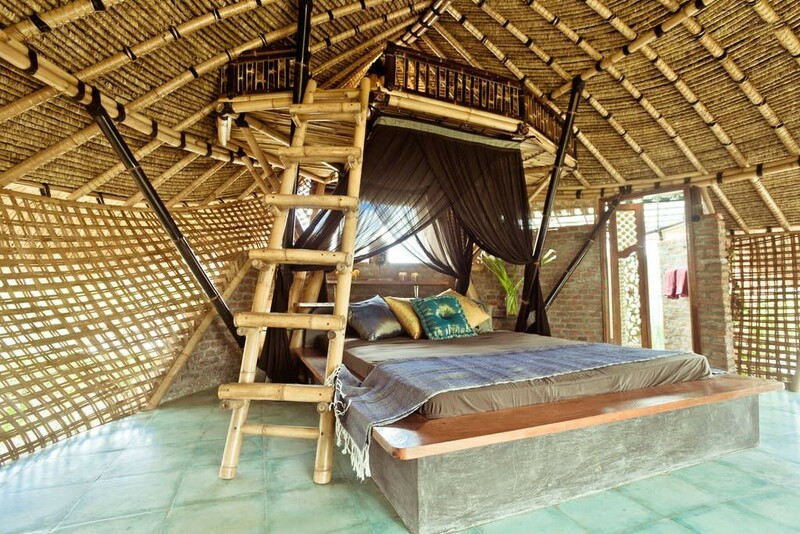 No, here’s the catch – the Hideout was handcrafted out of wood, and is also fully sustainable on its own. Don’t believe us? You can check out that magnificent water wheel. This contraption is actually the only source of water and electricity for this tiny miracle in the woods! 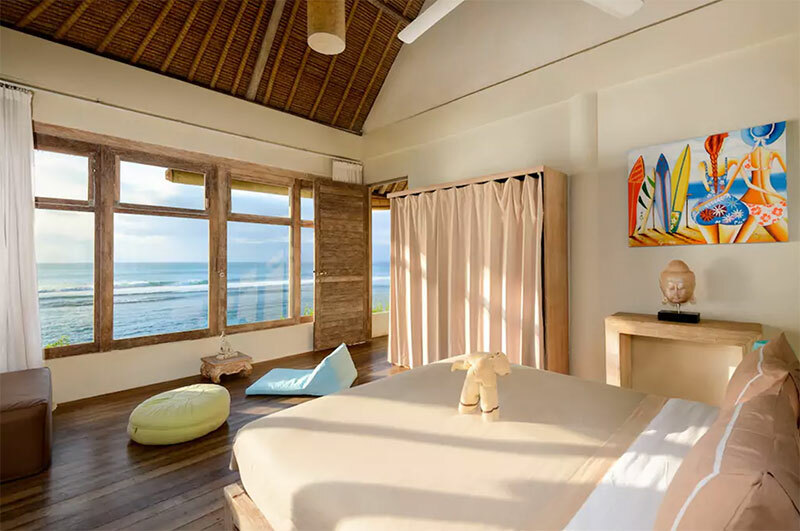 The cozy atmosphere is also bound to make you feel at home, and for how it’s fully equipped with everything you can possibly need, the price for a night’s stay at this place also comes at a steal. No matter what your six-year-old says, this is the best hiding place ever. 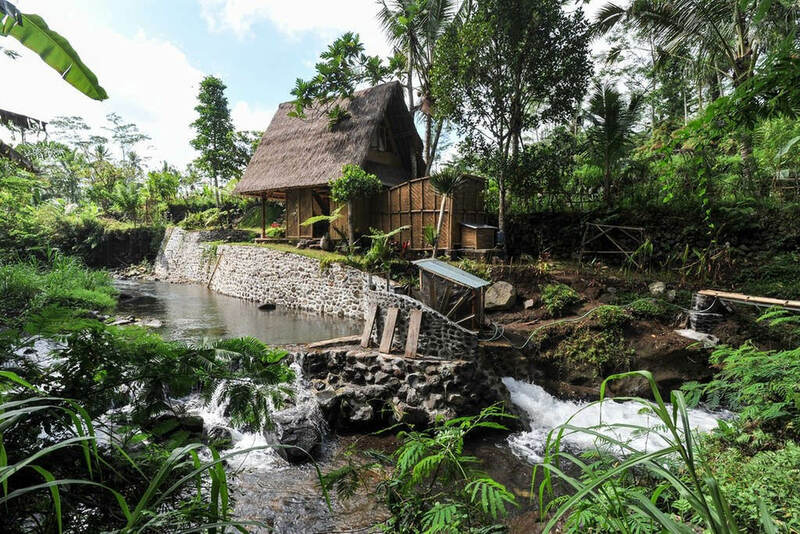 Bali is known for its scenic paddy fields, and what better place to stay than in the middle of it all, snuggling in a cozy cottage made of bamboo? Complete with a patio, it’s time to dream of hosting your own candlelight dinner right in front of the rice fields, or even having a peaceful sunrise breakfast in your pajamas. 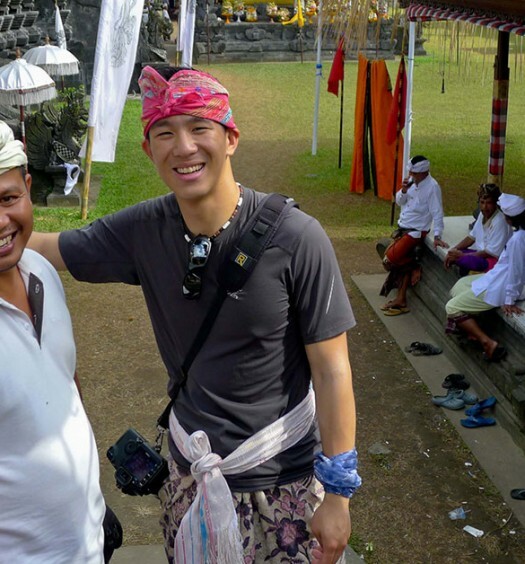 If you’re a social media butterfly, you be the envy of your followers when you take a peaceful stroll out in the rice fields and capture a few shots while in the midst of it! 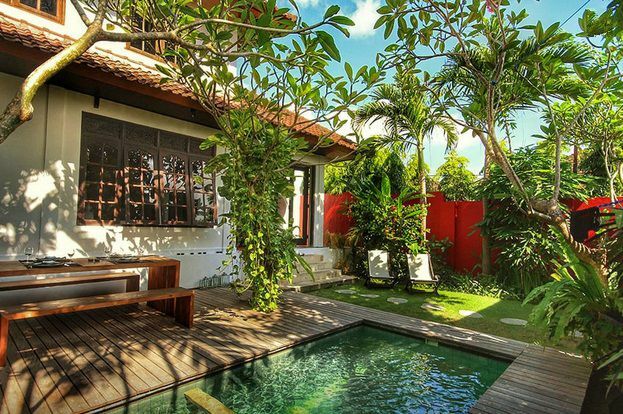 With a unique feature art wall in the indoor dining area and little touches of Balinese tradition on the windows, you are bound to love the chic interior design of this villa! 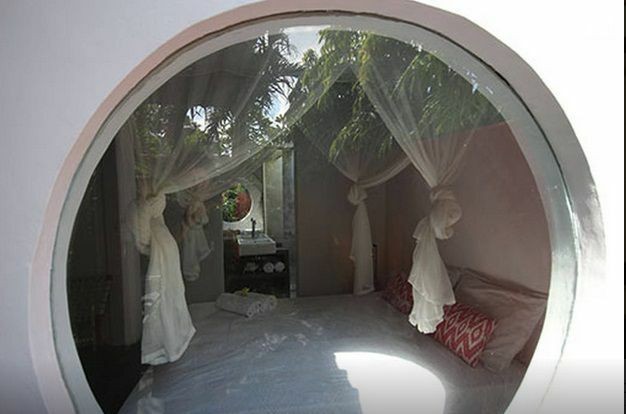 Don’t you love this rounded window from one of the rooms that overlook the garden? Definitely a rare sight in modern houses these days! In a garden shaded by greenery, you can lay on the chairs for an afternoon nap or spend time with a great book you’ve always wanted to read. You also get a mini pool that’s not intended for any serious swimming, but for you to simply enjoy a rejuvenating soak in. 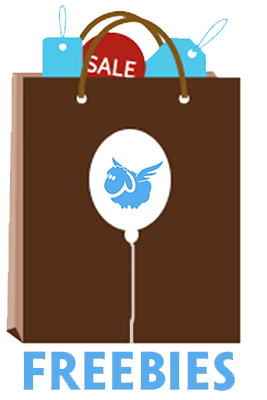 Where better to get some artistic or poetic inspiration while you’re enjoying these little things in life? 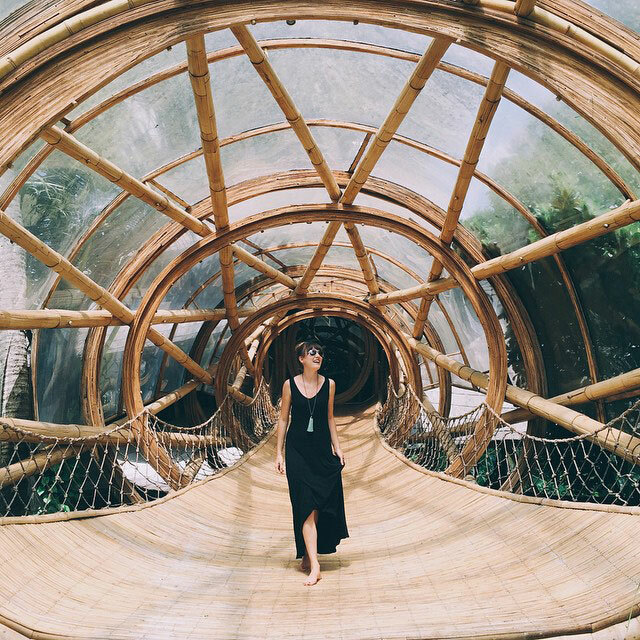 These are just 8 out of the endless possibilities of unique stays that you can find with Airbnb! 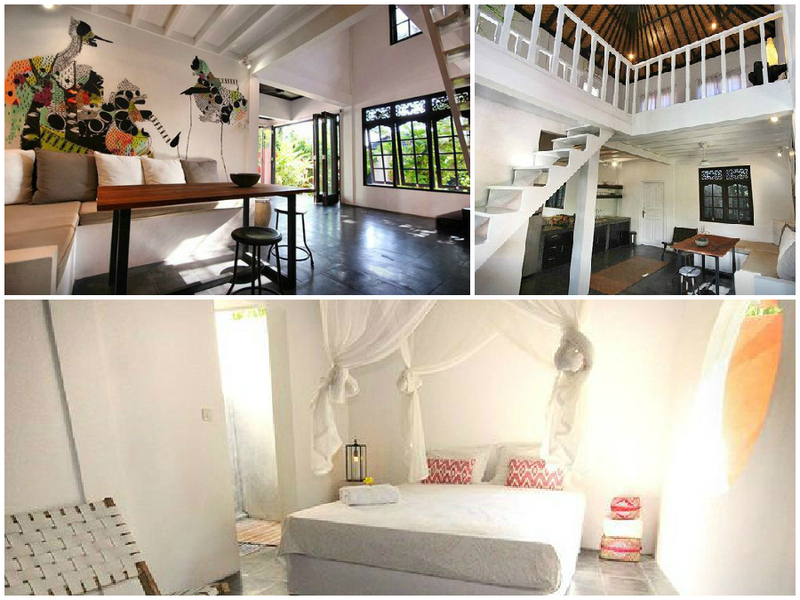 Which is your favourite Airbnb villa? Abigail, better known as Abby to her friends dreams to leave her footprints in every nook and cranny of the world, going to every theme park in existence before she turns 90.